Wow! Time to start the new year here soon! Can't believe it - but I suppose I can't stay in holiday mode forever! This year, for my "scripture song" (the song we sing for maybe 2 minutes before I delve into my lesson) I am going to be rotating between Scripture Power found HERE, The Books in the Book of Mormon, The Books in the New Testament and The Books in the Old Testament. I will be asking the kids to bring their scriptures to primary and every time they do, we'll tally them up as we sing our scripture song and put them on some sort of chart. Then when it's full, we'll have some sort of "party." Can you tell I haven't though this all out? I could use some ideas on this!! Activity: See last year's activity HERE. I'm working on getting 2016's together! Activity: See my lesson plan HERE. I may be tweaking it a bit so stay tuned! Activity: Continuing on with the previous week's lesson - more to come! Activity: Review activity - again, more to come!! For tallying up kids that brought scriptures in our primary we pass around a big jar and a ziplock with little pompoms as we sing scripture power. The kids that are holding up their scriptures as we sing get to put a pom pom in the jar and when the jar is full they all get a treat and then we start over. It works, the kids love holding up their scriptures in the song and love seeing the jar fill up! I Love that Idea! Simple yet effective! I'll probably be implementing that in primary! Thank you for sharing!! Can you tell me how you make the video flip charts for the program presentation. would love to try it this year. thanks again for all your great ideas!! I hope that helps! I'll hopefully have mine up this week if I can get my act together :). 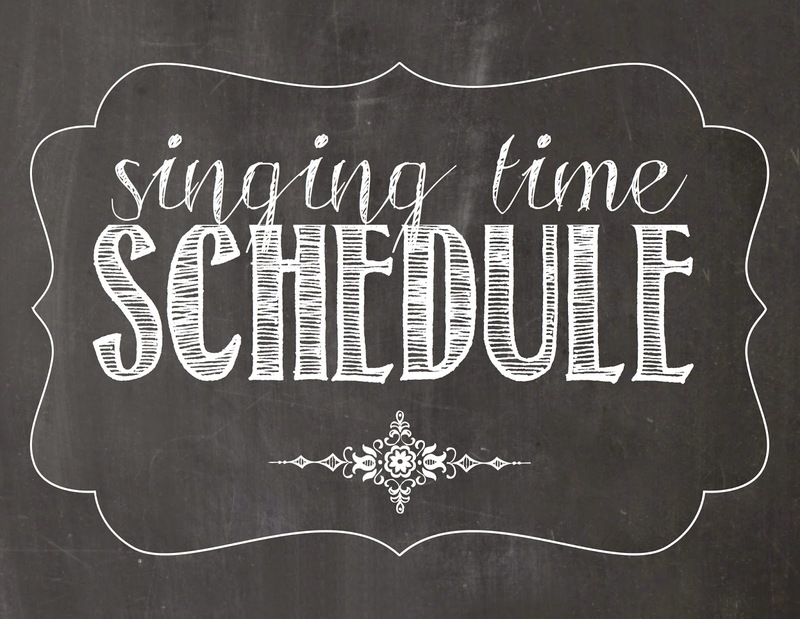 Thank you THANK YOU for helping out this newly called singing time teacher!! Your outlines, ideas & lessons have saved me! I've already visited your site a million times, so I thought I should take a sec to let you know how much I appreciate your enthusiasm & preparation. You've truly magnified your calling. Thank you Jenny - I'm so glad!